Do you have some books, journals, or diaries that need a little added protection on your shelves? 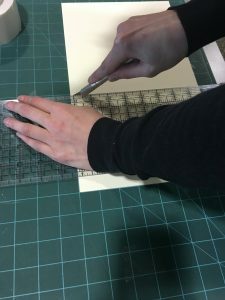 Want to learn how to make some inexpensive covers for them? A few enclosed books in our Rare Books collection. 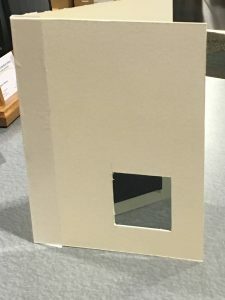 Saturday, October 20, at 3:00 pm, we’re hosting a DIY book enclosure workshop. We’ll supply the card stock, scissors, pencils, rulers, and instructions, you bring along a book that you want to enclose. Because not all books are easy to build enclosures for, we ask that for this training you bring something that isn’t tiny, isn’t skinny, isn’t huge. A relatively standard size book or journal should work well. We’ll be sending you home with supplies to make more. Since we have limited funding for the workshop supplies and this is a hands-on workshop, you will need to RSVP to us to reserve a place. The Contact Us link up at the top of this page will take you to a webform that you can use to submit an email to us to reserve your spot. Our phone number is there, too, if you prefer to call. If you’re working on a mobile device, the Contact Us link can be found under the menu icon (three horizontal bars) toward the top of the page. If you haven’t received a confirmation from us within one business day, please call! Want to bring the kids? 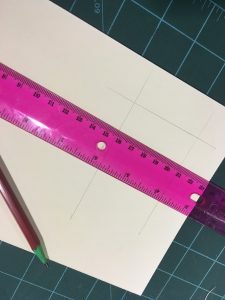 The project requires the use of fairly sharp scissors (says the archivist who nearly failed the scissors section of kindergarten) and the ability to use a ruler to take measurements. We’ll let you judge if your kids are up for that. However due to various UAA campus safety regulations, we ask that children and minors under 18 be accompanied by a parent or guardian. 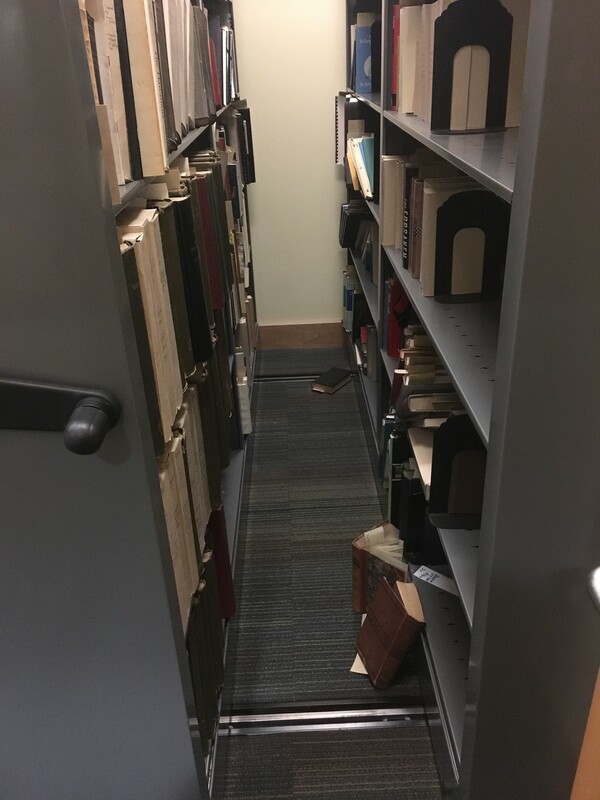 Oh, and if you don’t want to bring a book with you–please don’t bring any very fragile or highly valuable books that could be damaged in transit!–we’ll have a few around that you can use to practice with. Oh, also important: parking is free on campus on Saturdays! The post Archives month event: free book enclosure class: RSVP required! 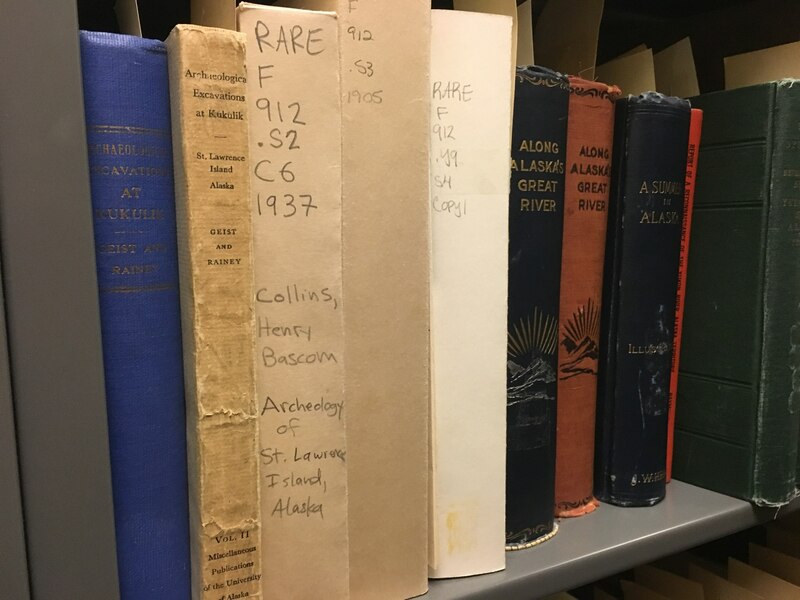 appeared first on Archives and Special Collections. I’ll skip the history of film stock and nitrate in particular since you can find that easily enough elsewhere (here’s one source) and I’ll skip the long version of why we’re keeping the stuff when we can. But it’s not always simple to tell what the film stock is. Some have little notches in the edges of the negative where different patterns can tell you what type it is, but not all do. And unfortunately most of the definitive tests that determine whether something is nitrate specifically are either illegal for us to do (burning) or impractical (chemical testing with some seriously nasty chemicals). They’re all basically destructive, which means you’d have to clip a section off the negative to test it. The problem with that is that not all negatives have clear space on the edges allowing for clipping without cutting into the image, even if we could do chemical or burn testing. Since Veronica and Arlene both were working with collections of the appropriate age to have nitrate or acetate cellulose stock and both of which had a lot of still negatives in them, unfortunately without the notch coding, it was time to see if we could figure something out. 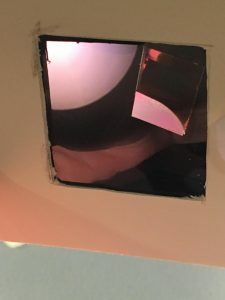 According to one of our colleagues in AMIPA, who is our resident expert in all things film-related, there’s a polarization effect that happens with polyester based films that doesn’t happen with cellulose based films. 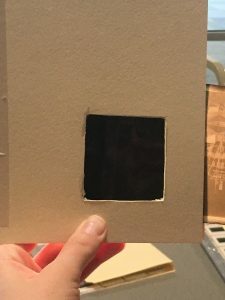 So we found some instructions from the National Park Service on how to build a quick and easy film viewer with a polarizing filter that would allow us to do some quick checks. So that’s what we did today to celebrate Archives May Day. 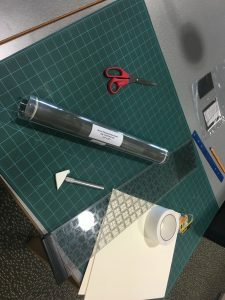 We gathered our supplies and started cutting the mat board to size, the filtering film to size, and taping the pieces together. They’re not the prettiest things on earth, mat stock does not yield easily to a cutting blade, plus the craftiest of our bunch is Arlene and she failed scissors in kindergarten, but the end result mostly looked like what was in the NPS instructions. And that’s when things went a bit awry. First of all it took us all a while to get the polarizing film oriented correctly. And then we were having problems seeing the interference patterns on our sample of polyester based film. But with a little help with from our AMIPA expert and carefully holding it up against one of our new, very bright task lamps, we finally saw the difference between the two. And we also decided that we need to keep a piece of polyester film on the side so we remember what it looks like since what we’re looking for is the absence of that look in the cellulose stock. We also learned that we should not look directly into our new, very bright task lamps since they’re, well, very bright. That’s what we did for May Day. And we have an offer for you: we built three of these but we don’t need three. So we’re offering one of the ones we built (the prettiest one of the bunch) to the first archives, library, or museum in Alaska who contacts us and asks for it. Please use the contact link above and include your mailing address and institution name and we’ll get it mailed out to you. The post May Day: blinded by the light appeared first on Archives and Special Collections. 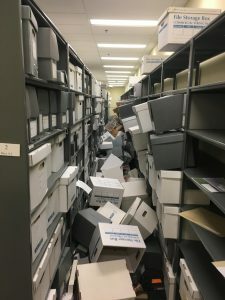 There are a number of things that I find cringe-worthy as an archivist: legal sized documents, scotch tape, paperclips, rusty staples, and unruly masses of paper. Although my favorite archival tool can’t address all of these, it does handle my most hated enemy, rusty staples, with ease. The micro-spatula is my go-to item for removing staples from tissue paper, plying papers clips from the page and unsticking stuck items. The micro-spatula is an 8” stainless steel tool with one rounded end and one tapered end. It is a versatile item to have on hand when dealing with delicate materials. In many cases a regular staple remover works just fine, but there are times when it’s just too blunt an instrument. Older staples don’t often come in the standard size we’re used to today. The staples I’m talking about are half the size of today’s and are a breeding ground for rust. Using a staple remover on them can take a big chunk of the very paper you are trying to preserve. It is a job that requires more finesse, the kind only a micro-spatula can provide. The tapered end of the spatula slides right under the hooked end of the staple and lifts it with ease. Repeat on the other hooked end and the staple slides right out leaving only its original holes in the paper. The micro-spatula is equally adept at separating paper clips stuck to the page without tearing the paper. Although it can be a risky procedure, a micro-spatula can also be used to separate items stuck together. If the items don’t come apart easily, it’s best not to force them. If stuck items appear to need only a little help separating, the narrow ends of the micro-spatula are great for sliding in between and coaxing them apart. The micro-spatula has many more uses in conservation, but for me, staple removal is its primary function. Just a few weeks ago, I had the great fortune to travel to Nome, Alaska with members of the Alaska State Historic Records Advisory Board (ASHRAB) to help teach a full-day workshop on caring for archival records. The whole experience was wonderful. From the moment we got off the plane, everyone we met was warm and welcoming, and we had a packed house for the workshop at Old St. Joe’s Hall with twenty or so engaged participants. I also relished the chance to explore Nome, where history is literally visible all over the landscape, with other historians, curators, and archivists who were equally geeking out over all the old gold dredges, the Cold War-era White Alice communications system site on Anvil Mountain, and the great exhibits at the Carrie M. McClain Memorial Museum. One of the workshop participants even invited me over to her house during the lunch break so that I could help her identify an odd “gold photograph” she and her husband had found in an old book in their collection (it turned out to be an engraving plate). It was a treat to visit a community where people so obviously care about the living history all around them. Also check out the other presentations by my co-instructors, which cover a range of topics from film and sound recordings to grant-writing to historic preservation. If you’re in need of a refresher in best practices for care of your materials or just curious, take a peek. And let me know if you have any questions — there are always a few things that get lost in translation between the in-person presentation and reading it on the screen!